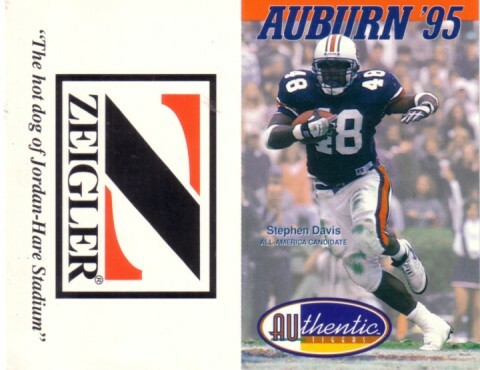 Original 1995 Auburn Tigers football pocket schedule featuring star running back Stephen Davis. NrMt-Mt. ONLY ONE AVAILABLE FOR SALE.